CHICAGO (November 6, 2017) – (RealEstateRama) — Robert Kulick, a Realtor® from Monte Sereno, California has received the National Association of Realtors® 2017 Distinguished Service Award. The honor is presented yearly to no more than two of NAR’s 1.3 million members. Winners were recognized today at the REALTORS® Conference & Expo in Chicago. NAR established the DSA in 1979 to honor Realtors® who have made outstanding contributions to the real estate industry and who serve as leaders in their local communities. The award is considered the highest honor an NAR member can receive; recipients must be active at the local, state and national association levels but must not have served as NAR president. NAR 2018 President Elizabeth Mendenhall presented the award to Kulick. Kulick has been a Realtor® for 47 years and currently works for BK Commercial Real Estate Services in Monte Sereno, California. During his three-decade career, he has had a great impact on the Realtor® family at every level of the organization. As an active NAR member, Kulick has held a number of leadership positions within the Realtor® organization. This includes at the national level as a regional vice president, vice president and liaison to Government Affairs, and chair of the Realtors® Political Action Committee Fundraising Goal Policies presidential advisory group, Public Policy Coordinating, RPAC Trustees and Strategic Planning Committees. Kulick was also a member of the RPAC Trustees Federal Disbursement Committee and the Public Advocacy Advisory Group. 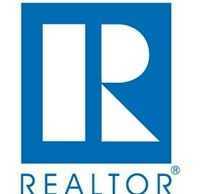 Kulick has also been very active in his local and state Realtor® associations. For over 30 years, he has held leadership positions with the California Association of Realtors®. Kulick served as president in 1997 and also held roles as treasurer; chair of the Issues Mobilization Political Action, Legislative and Local Government Forum Committee; and as a member of the Executive Committee. In 1997, he was named California Realtor® of the Year. Kulick served as president of the Santa Clara County Association of Realtors® in 1984. SCCAOR named him Realtor® of the Year in 1983, and he served on the board of directors for seven years. He also chaired multiple committees, including Investment, Government Relations, Multiple Listing, BOR PAC Trustees and Bylaws Rules committees. SCCAOR honored Kulick with the Lifetime Achievement Award in 2006. Outside of real estate, he served his community as vice president of the West Valley Aquatis club, a member of the Santa Clara Valley Transportation Authority governance board, a soccer coach for the American Youth Soccer Organization, and a volunteer for Martha’s Kitchen and Habitat for Humanity. Kulick has been married to his wife, Marilyn, for 52 years and has two children and five grandchildren. He enjoys cooking and spending time outdoors; his interest in cooking inspired him to write an Italian food cookbook.